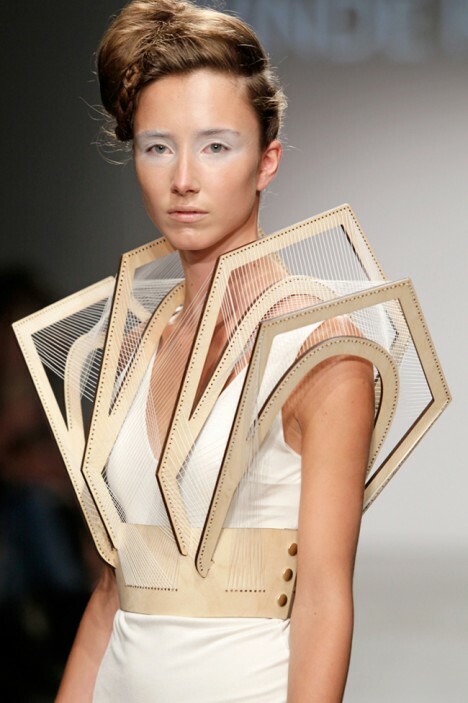 Textiles take the place of building materials in the dramatic swooping shapes, angular folds and oversized proportions of architecturally influenced fashion, whether on a highly wearable backpack or impractical runway couture. 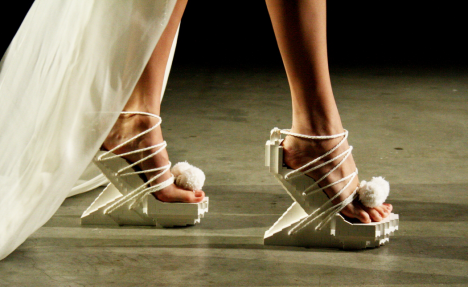 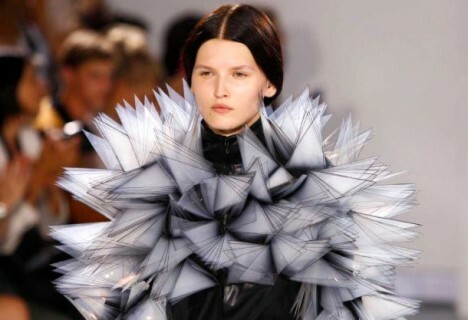 Fashion designers play with grids, tessellation, towering shapes, baroque details and three-dimensional forms, often making use of technology like 3D printing for unexpected results. 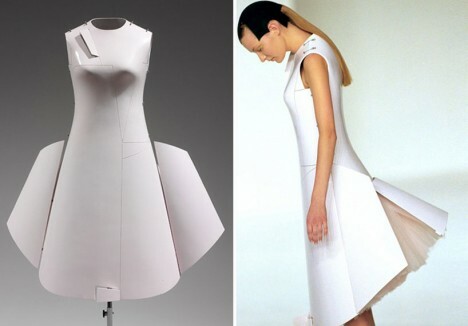 Gleaming white with semi-detached panels lifting up beneath a layer of tulle, Hussein Chalayan’s Airplane Dress is made of the same material used in aircraft construction and changes shape via remote control. 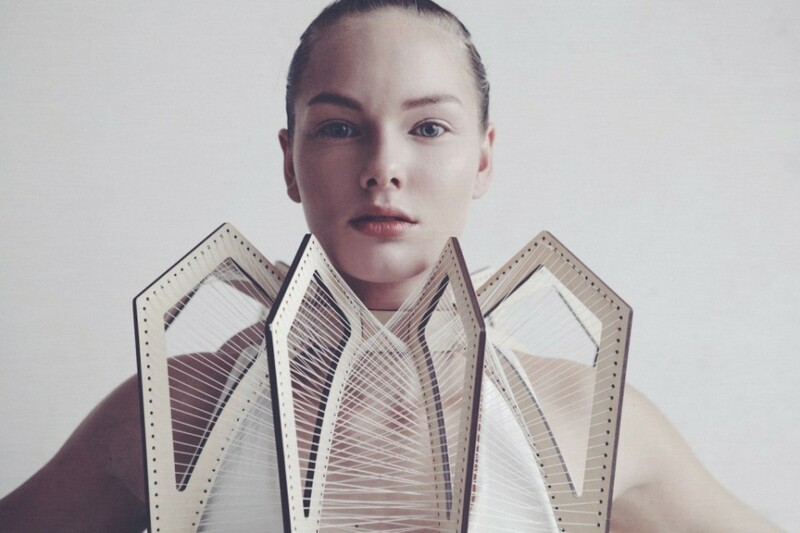 Amsterdam-based fashion designer Winde Rienstra explores structure and space with her 11:11 collection, blurring the lines between clothing and objects. 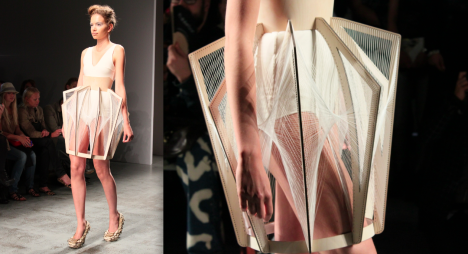 Stiff as corsetry and creating a sort of cage around the body, the ribbed, angled pieces call to mind suspension bridges and the flying buttresses of Gothic cathedrals. 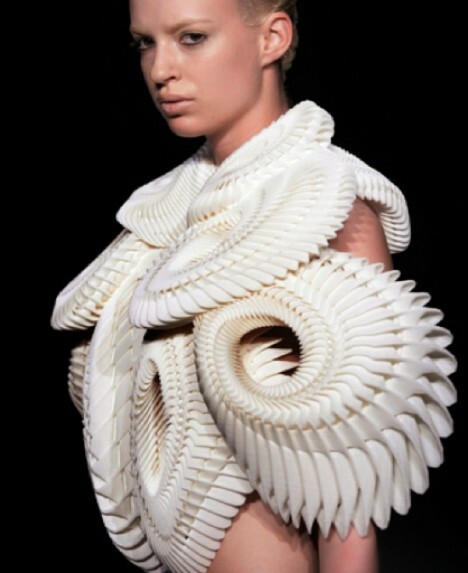 An innovator in the usage of 3D printing in fashion, Iris van Herpen shakes up the status quo with exciting three-dimensional pieces of wearable sculpture characterized by rich texture and almost alien patterns that would be right at home in a sci-fi movie. 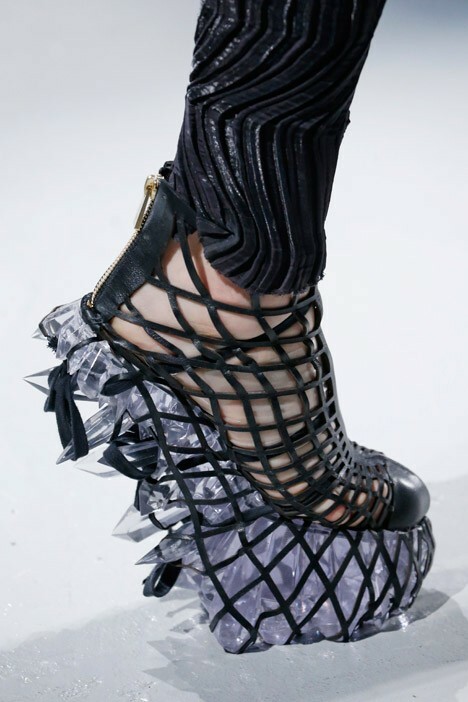 Van Herpen’s creations bridge the gap between wearable technology and fashion, focusing more on the aesthetics of strange new textiles than on gadgets. 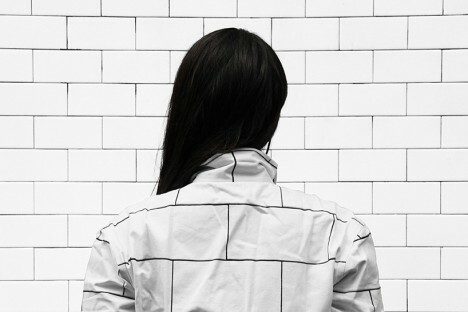 Architecture and design duo Snarkitecture debuts ‘Architectural Camouflage,’ a collection of apparel and accessories featuring prints of white hex tile, subway tile and marble. 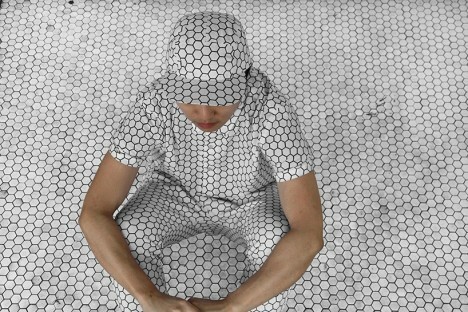 Stand against the right urban surface, and you’ll blend right in. 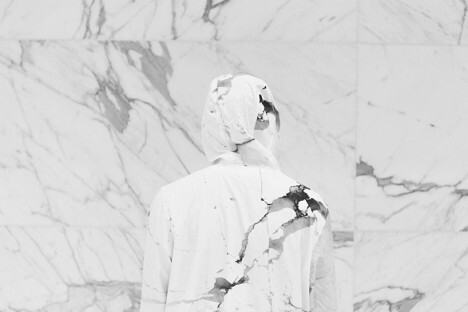 The pieces are available for purchase at Print All Over Me.